See the world through your animal’s eyes. How is it different? Solutions & a new understanding. 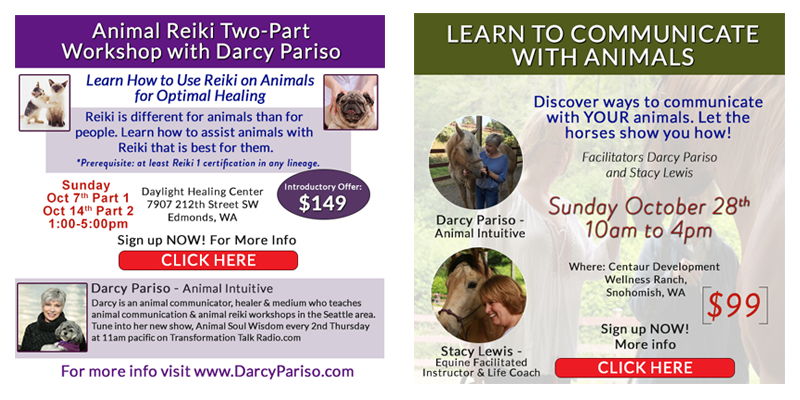 Sign up for Darcy's Upcoming Events!